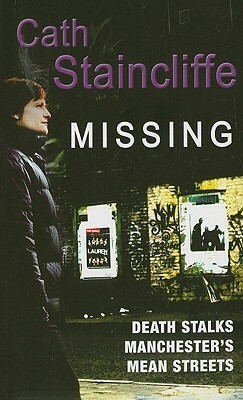 Sal Kilkenny is a private investigator, one week in June she finds herself on a missing person case, after wrapping up that case and finding the missing person she suddenly finds she has two new missing person cases. Janet has been missing for over a week, her husband reported her missing when she failed to collect her kids from school. Berfan has also gone missing, he is under threat of being deported back to Iran. Can Sal balance her work and personal life and find these missing people. When I read this book, I didn't realise it was the middle of the series. Which seems to be a habit of mine, I read one in the middle of the series, enjoy it then end up reading the whole series from the beginning. Which is what's happened here too. I really enjoyed this book, it was a nice refreshing change to read about a female private investigator, one who balances work and personal life including having kids an relationships. I really enjoyed seeing how she manages to juggle her children and personal relationships alongside her work life. Yet again another fantastic book from Staincliffe, well written with wel thought out characters, an interesting and easy to follow plot. I found this book very unputdownable.